Mary Lou Pearce, 89, entered into eternal life on July 5, 2018, surrounded by her loving family at her home in Columbia Falls. Born in Orange, New Jersey on January 23, 1929, she has resided in the Flathead Valley for the last 26 years with her loving husband of 69 years, the most Reverend Robert K Pearce, Sr. She leaves behind three loving children: Bob, Jr (Lynn) and Doni Landwehr (Jim) both of Columbia Falls; and Kathy Schulte (Bob) of Missoula. She is also survived by nine grandchildren and thirteen great-grandchildren assuring that her exemplary life of love and kindness lives on in spirit for generations to come. Mary Lou graduated in 1946 as valedictorian of her Irvington N.J. High School class, excelling in her special gifts of writing and music. She played the tuba in the high school marching band during the war years and went on to author a Christmas story which was published in 1976. She married Bob on September 11, 1948 at St. Leo’s Church in Irvington, to begin her many years as homemaker and mother. She has always been active in church organizations such as the Holy Rosary Society and the Conference of Catholic Women and has always been willing to lend a helping hand at plays, community kitchen, bazaars and wherever help was needed. She loved to cook, knit, crochet and tend to her doggies. She was a follower of the Lord, Jesus through her daily devotion to His Sacred Heart and His Blessed Mother. She was preceded in death by her mother and father, Mae and Harold; and her two loving brothers, Harold and Ronnie. She will be deeply missed by all whom she touched in this life, and will be welcomed to her heavenly reward with open arms. She loved her flowers, but she also loved supporting the Columbia Falls Food Bank and the Building Fund at St Richards Catholic Church. There will be visitation on Monday, July 9th from 5 p.m. to 7 p.m., A rosary service will begin at 7PM at Columbia Mortuary, Columbia Falls. 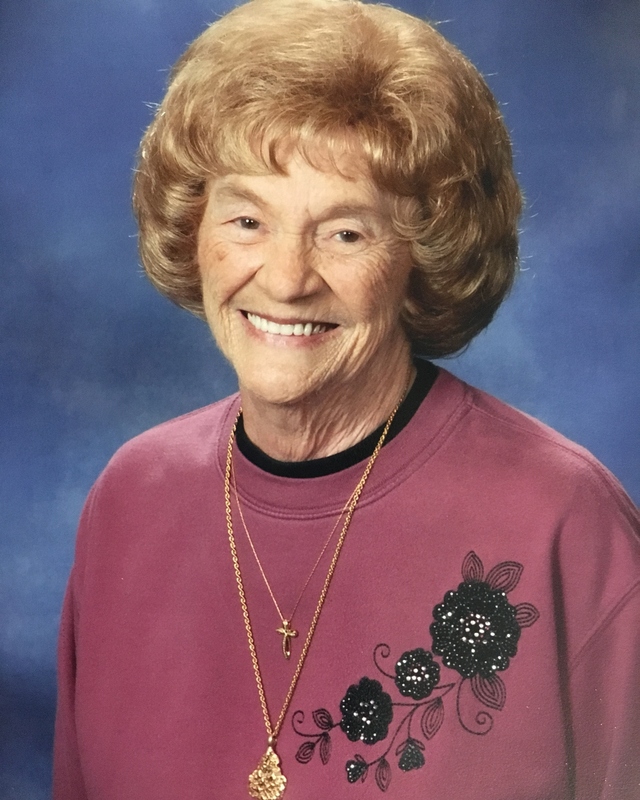 A celebration of her life will take place with the Holy Sacrifice of the Mass at St. Richards Catholic Church, also in Columbia Falls, at 10 a.m. the following day, July 10th. Lunch to follow. Columbia Mortuary in Columbia Falls is caring for the Pearce family.